Back in 1996, RED Studio’s founding partners, Antonio and I had the great pleasure of working with Tang Lee, Canada’s foremost expert on Indoor Air Quality, at The University of Calgary where we co-authored a document entitled “Health and the Built Environment”. This document was part of the Vital Signs initiative sponsored by UC Berkeley and was a primer for introducing the concepts of human health and indoor air quality into schools of architecture. Fast forwarding to 2015, we have built RED Studio to make a positive impact on people’s lives – creating spaces for living and working that enhance health and quality – both of the planet and users. We incorporate those simple, early lessons about human health in all our projects, never underestimating the impact the built environment can have on human health and striving for positive impacts by incorporating simple features -daylighting, passive strategies, healthy materials to name a few. This week, I participated in the first Canadian WELL Building Standard Workshop. 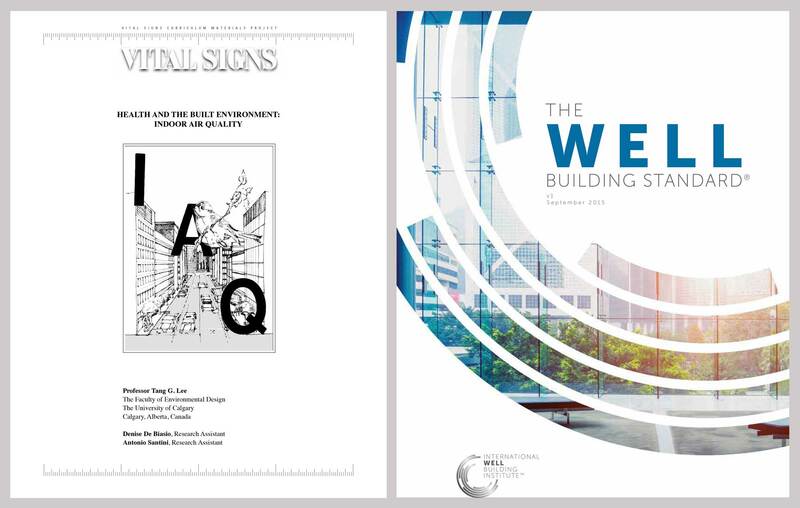 For those of you who need an introduction, the WELL Building Standard is a new building rating system that focuses on the health and wellness of building occupants. After practicing in this arena for 20 years, we feel it is a welcome addition to the market of building standards and applaud the focus on health. Please reach out to us. We would love to bring wellness to your space.